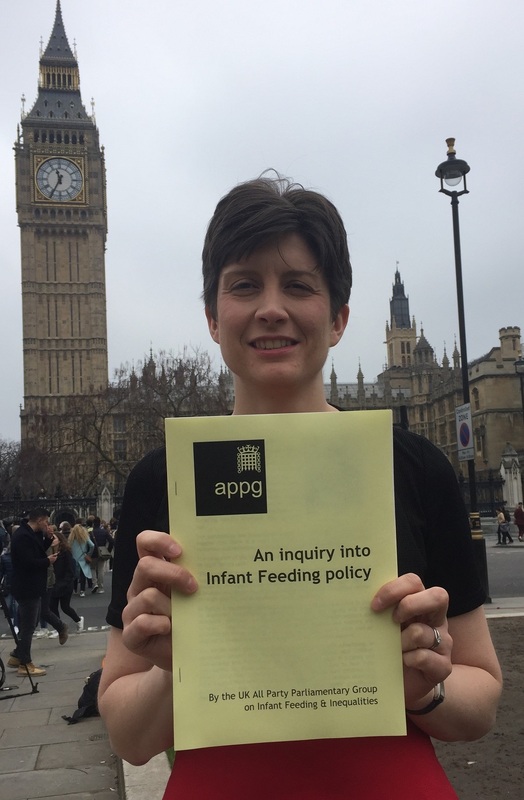 Alison Thewliss, MP for Glasgow Central, and chair of the APPG on Infant Feeding and Inequalities, has commended the results of a recent Scottish Government survey into breastfeeding rates and infant nutrition. The Scottish Maternal and Infant Nutrition Survey was conducted in the first half of 2017 and invited responses from hundreds of women, including expectant mothers, those whose babies were between 8-12 weeks old, and those whose babies were 8-12 months old. The questionnaire focused on maternal nutrition, breastfeeding, infant feeding and related health behaviours. The survey pointed to progress being made in many areas, with 43% of mothers now continuing to breastfeed up to six months after birth, compared with 32% in 2010. In addition, it spoke to an increase in the overall duration of breastfeeding. “It is greatly encouraging to see an uplift in the number of mothers who are breastfeeding for longer, and I am delighted that this increase is a significant one. It’s important to recognise the work going on in hospitals and local areas by both health professionals and volunteer peer supporters, as this couldn’t be achieved without their incredible efforts. “The Unicef UK Baby Friendly Initiative standards recommend that, in order to maximise health outcomes for children, breastfeeding should be promoted exclusively for the first six months. In that sense, it’s terrific to see so many women in Scotland maximising breastmilk and introducing solid foods later. “I know there is still a lot of work to be done in this area. Whilst help and information is given to mothers to promote and assist with breastfeeding, the survey results show the main reasons for breastfeeding ceasing early is due to concerns around feeding problems, and also finding feeding too difficult. It’s therefore crucial that health professionals continue to provide and develop ongoing support. “Studies such as this are fundamental, as they provide an evidence base on which more informed policy decisions can be made, in this case to help design and implement better advice and support for families. It’s crucial that the UK Government do the same, in order to improve health outcomes across the country”. 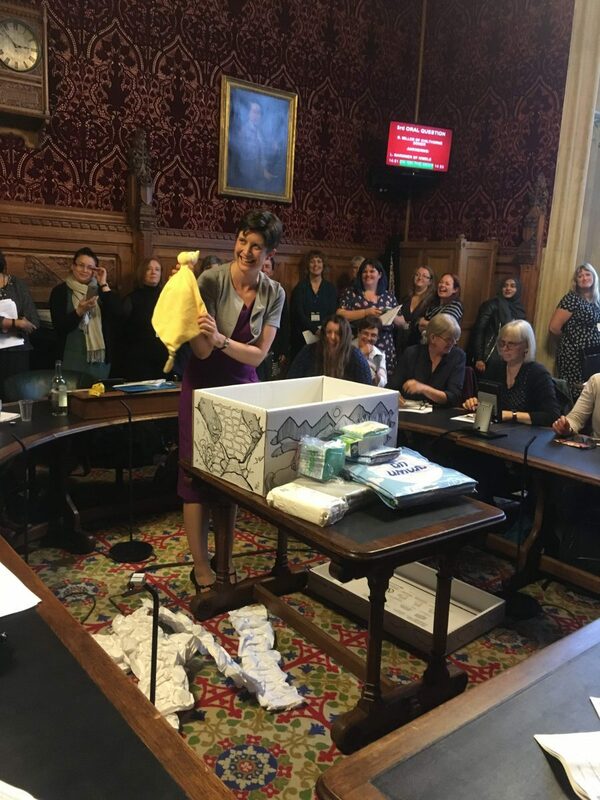 Alison Thewliss, Chair of the All-Party Parliamentary Group on Infant Feeding and Inequalities, has urged the UK Government to offer guidance on milk sharing – a practice that thousands of women are already participating in through online networks across the country. Milk sharing has become an increasingly popular method for mothers to get access to breastmilk for their babies, particularly amongst those who have encountered difficulties when breastfeeding. The sharing of breastmilk online is unregulated and some experts are concerned that without NHS supervision or Government guidance, there is a chance that the practice could spread infection and viruses. “There is a growing recognition of the unique qualities of breastmilk, and the growth of milk sharing online is to some degree a symptom of this. It is important that milk donors are following best practice to ensure breastmilk is free from any contaminants, but this will always have a degree of uncertainty when people are sharing milk online. “Milk banks provide safe and rigorously screened donor breastmilk for those babies who need it. The model used by One Milk Bank for Scotland ensures that breastmilk can be collected from donors, processed and distributed using a well-developed network, and I would like to see this available across the rest of the UK. At the moment, milk banks are often underfunded and running as a project of individual hospitals. 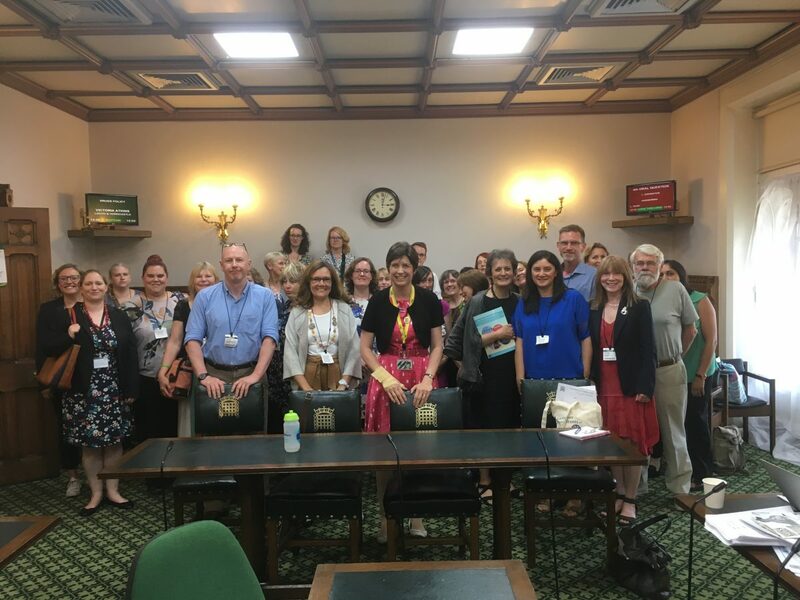 “This also sits in the context of cuts to breastfeeding support projects – Unicef Baby Friendly highlighted recently that local infant feeding leads in England had reported a 47% cut in support groups, and a 58% cut in health visitors. Women who wish to breastfeed can find themselves without the valuable support and expertise they need, and may turn to online donors as an alternative to their own milk. Many thanks to those who attended the November APPG meeting in Westminster, including new MPs who have pledged their support for the group. Many thanks to Dr Amy Brown who gave an excellent presentation on frequency of breastfeeding and formula feeding for infants. Attendees of the meeting also got an opportunity to see some of the items in the Scottish Government’s Baby Box, which is now being provided to all new mothers across Scotland from August 2017, and highlight some of the work the Scottish Government has done to promote and support breastfeeding mothers. Alison Thewliss MP, Chair of the APPG on Infant Feeding and Inequalities, visited Somerset Park on Saturday. The home of Ayr United FC, Somerset Park is the first stadium in Scotland to obtain breastfeeding friendly accreditation. 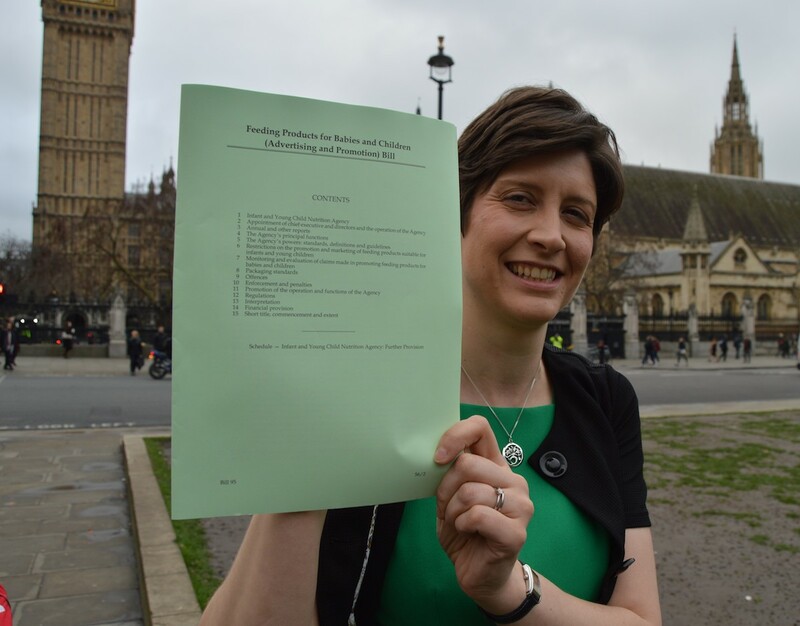 Ms Thewliss has written to other football clubs in Scotland to encourage them to ensure that their stadiums are breastfeeding friendly – click here for more details on the clubs contacted and their responses. 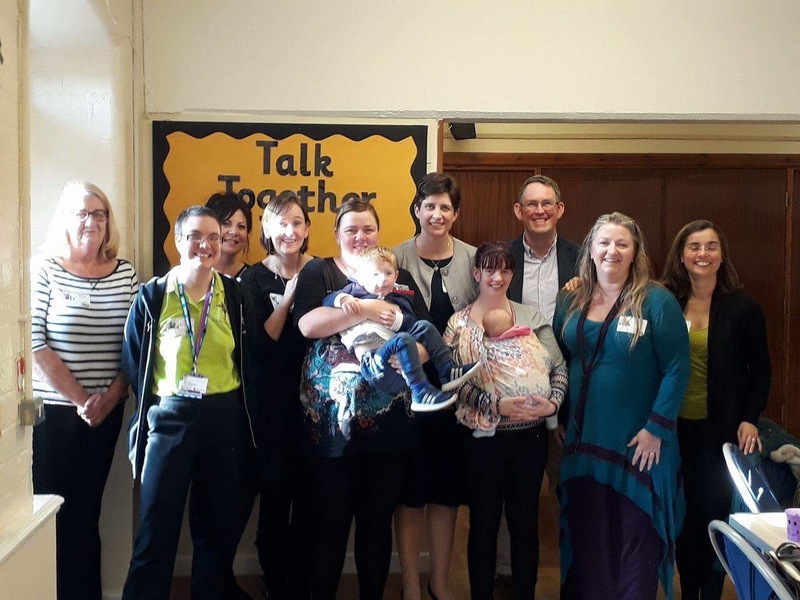 Alison Thewliss MP, Chair of the UK Parliament’s All-Party Parliamentary Group (APPG) on Infant Feeding and Inequalities, will be chairing a public meeting in Blackpool today to discuss drastic funding cuts to breastfeeding support services in the area. Ms Thewliss will meet with residents and local campaigners to discuss the decision of Blackpool County Council to close down the Star Buddies peer support service in July 2017, after 10 years of providing one-to-one support to breastfeeding mums in Blackpool. Ms Thewliss will host a public meeting, where she will be joined by residents, local MPs and breastfeeding support groups. The peer support service paired new mums with mums who had experience with breastfeeding their babies. The service covered the first few weeks and months of the baby’s life, with scheduled visits before, and up to 6 weeks after, the baby is born. As well as providing reliable and informative advice to new mums, regular visits to the new mums by peer support volunteers helped the new mums to monitor babies’ progress and identify any problems that may arise at an early stage. The closure of the Star Buddies peer support service has been met with serious concern by campaigners and health professionals in the NHS. Figures released by Public Health England reveal that Blackpool has below average breastfeeding rates, with 61.6% of mothers initiating breastfeeding within 48 hours of their babies being born, compared with 74.3% for England as a whole. “The closure of peer support services for breastfeeding in Blackpool has left many people understandably concerned about the quality and level of support available for new mums who are taking their first steps into parenthood. “Mums need access to reliable sources of information in order to make the best decisions for feeding their babies and understanding what works for them for feeding their babies. Drawing on the knowledge of mums who have breastfed their babies within the first few weeks of a baby’s life provides valuable guidance and support at what can be a daunting and stressful period for new mums.